At first, we wanted to include a feature where friends could gather like this directly on Nintendo 3DS, but schedule-wise it was tight and wouldn't fit. 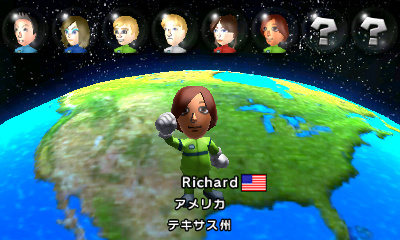 So I said, "I'll do it with Mario Kart 7." Having said that, I knew I had to think of something and drew a rough plan on a big sheet of paper. Despite Yabuki's low-tech start, the communities function is a welcome addition to Mario Kart 7, though we can't help but rue its loss from the system as a whole. In theory, it could still be added in a future system update, but even if it isn't its inclusion in Mario Kart 7 (and hopefully future titles too) is certainly a good thing. IF IT'S NOT ADDED IN A FUTURE UPDATE THEN I'M BUYING SKYRIM AND SELLING MY 3DS ON EBAY!!! RARRR! You know someone's going to say that. It should be added in a future update. Another reason why the release was rushed. So I'm guessing next update we'll be getting it. If this isn't fixed soon, I'll only give it a 9 out of 10. I would have given it a 10 if this was incorporated. Shun, Nintendo! I'm selling my copy of Skyrim (which I don't own) to get MK 7. Really? "schedule-wise, it was tight and wouldn't fit"
Talk about another reason to think it was rushed... hopefully they incorporate this into the next update. It was rushed, alright. Who rushes a system for an Easter launch? I knew when we waited months for the Eshop and browser and by the lack of good games that a lot of other cool funtions were scrapped. Plus nobody noticed that their $250 system scratches its own screen before launch. Either that or they ignored it. The 3DS would of been great at launch if it had waited until the holiday season, Vita or no Vita. It could of launched with SM3DL, OoT3D, MK7 and Nintendogs. That launch lineup could beat anything Sony could throw at it. This also includes 3D video, a browser, a few launch titles for the Eshop, maybe swapnote and a lot of other features they would of had time to add. I just don't get why they launched a system around a time that isn't a shopping holiday with Nintendogs as its only big name game. Pilotwings made a good game included in a $50 game worse and Steel Diver should of been an eshop game. A lot of people still moaning and crying about the 3DS launch. Guess what? The good games are flowing in, 3DS is selling millions, good times are here at last. Quit complaining about the launch already. Maybe the Wii U will get these features and this is a test-drive? It would make since with all the praise that Peter Moore is giving the Wii U's online structure. We can only hope. @Duney They aren't flowing in. We have two Mario games. Most of the rest are TBA for next year. It really is inexcusable. I can't play MK7 now for a few weeks until my 3DS R button gets repaired because they didn't fix the problems that the DSi had and so it will need repaired every year from normal usage. I'm not upset about the price cut. I'm upset that they released a system that had no games, no features, doesn't solve the hardware problems of the last generation and adds new hardware problems. It is going to get better next year but if they had even waited until the summer then it wouldn't need to get better. I think mine is a fair complaint. They knew they weren't ready and they had no reason to release it before it was ready. Hopes for the 6th december update! I'm with everybody that hopes it will be included in a future update. Also what SMW (18.) said. Ninty probably thought 3D alone will sell the system and that they only have to work hard for making the WiiU attractive. @Paperguy Where does it say that? It seems to me that it is pretty clear it is talking about the 3DS. The article says that the communities feature was meant for the 3DS system but the schedule was tight so they just put it in MK7. And I'm sorry if I seem all doom and gloom but the frustration is there and I'm pretty on-topic. The article mentions a feature that was going to be on the 3DS but wasn't because they rushed it. The 3DS is a cool systems with cool games (that are still mostly TBA) that Nintendo seemed determined to wreck over the last couple of years. I think it was a wakeup call for them and 2012 will be back to normal. Ay yo, add me guys. 3DS FC: 3437-3322-97 / Name: Omari. Vroom vroom here we go!